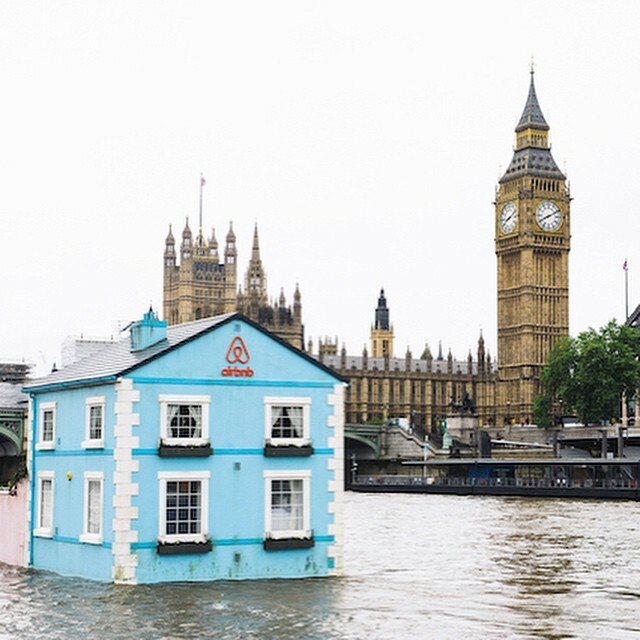 #Airbnb @ Thames River, London – Marketing, of course! 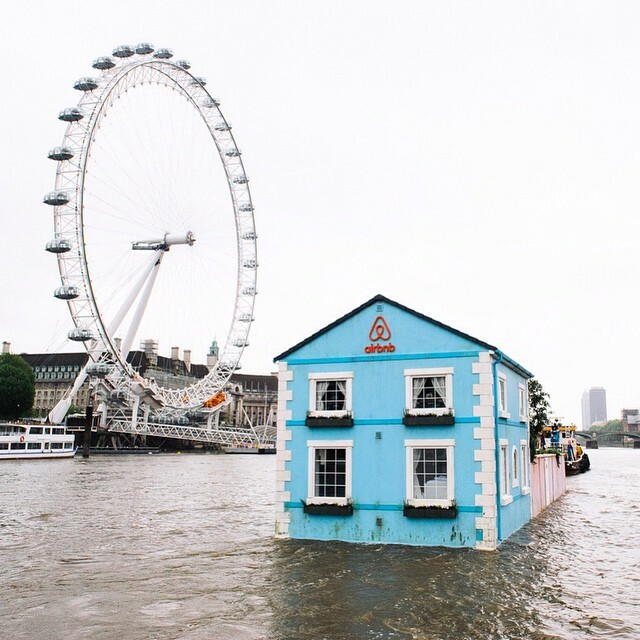 To celebrate new rules that allow Londoners, like the rest of the UK, to earn 15% pay rise by sharing their homes through sites like #Airbnb, the latter has arranged A fully functioning floating house which is sailing down the Thames River. 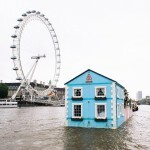 It was spotted passing under the Tower Bridge before gliding past the Shard on its maiden voyage, the house will meander along the river throughout the week until Saturday 22 May. 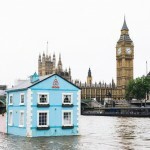 I has earned the company about two dozens of posts on Instagram, not so much, considering the investment.